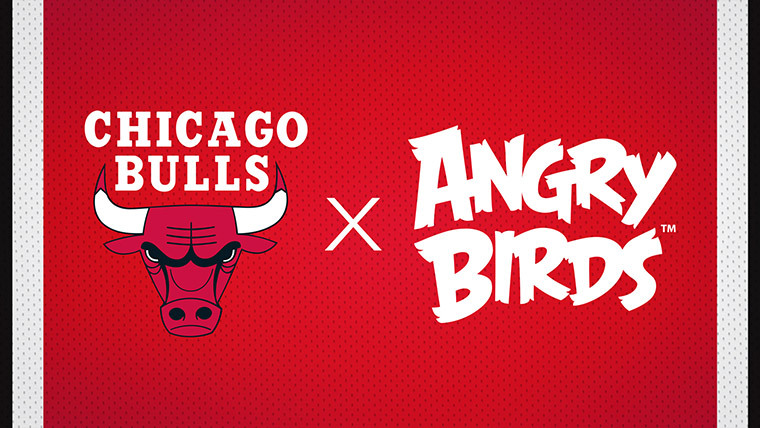 CHICAGO / ESPOO, Finland - Oct. 20, 2018 -Rovio Entertainment has partnered with the six-time NBA champion Chicago Bulls to unveil the "Angry Birds Eye View Cam." This brand-new camera angle will be featured on top of both backboards at all Chicago Bulls home games at the United Center throughout the 2018-2019 NBA season, providing dynamic live footage for fans from above the rim. "As huge fans of basketball and fellow Finn Lauri Markkanen, we're thrilled to team up with the Chicago Bulls this season. Uniting the Angry Birds brand with one of the NBA's most legendary franchises demonstrates Rovio's continuing commitment to strategically building the brand in the United States by growing our impressive lineup of partners and bringing one-of-a-kind experience to our fans." Angry Birds branding will appear alongside the new cameras, as well as on LED screens on the side of each basket. In addition, several unique VIP "Angry Bulls" experiences will be provided for fans at Bulls home games throughout the season. "Each season the Bulls look forward to providing our fans with new and exciting elements that enhance the game experience, whether it's in the arena or on broadcast. Through our new partnership with Angry Birds, fans around the world will get to see never-before-seen views from a new "Angry Birds Eye View" camera placed above the backboard of each basket," said Matthew Kobe, Vice President of Business Strategy and Analytics for the Chicago Bulls. By partnering with the Chicago Bulls, Rovio Entertainment has become the first Finnish sponsor of an NBA team, continuing Rovio's association with iconic sports and entertainment brands, including the NFL, English Premier League's Everton F.C. and rock bands Iron Maiden and Imagine Dragons.